Check Gujarat Public Holidays, Bank Holidays and Restricted Holidays for the year 2017. All offices under the Gujarat state government will be remain closed on following declared holidays including all Sunday in the year 2017. These holidays are also applicable to all state government undertakings, boards, corporations and panchayat offices. 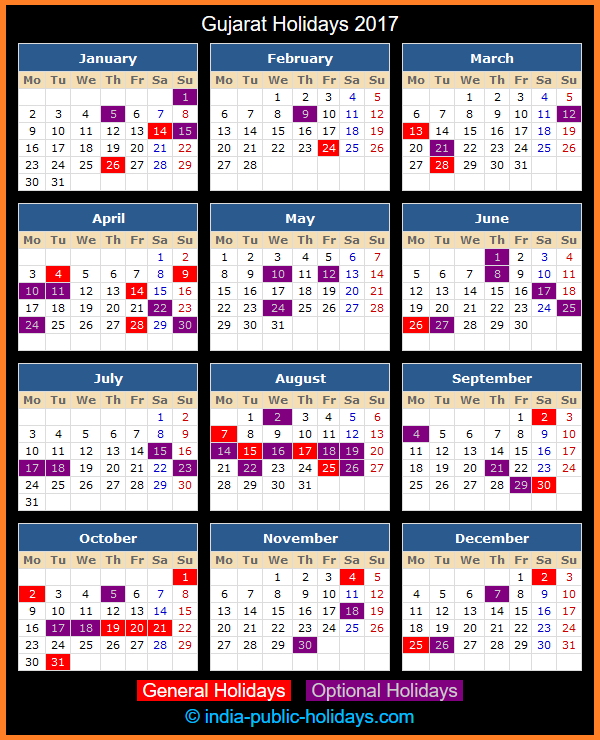 If any of the muslim holidays notified above does not fall on the day notified, then muslim employees may be granted an optional holiday on the day on which the holiday is actually observed.